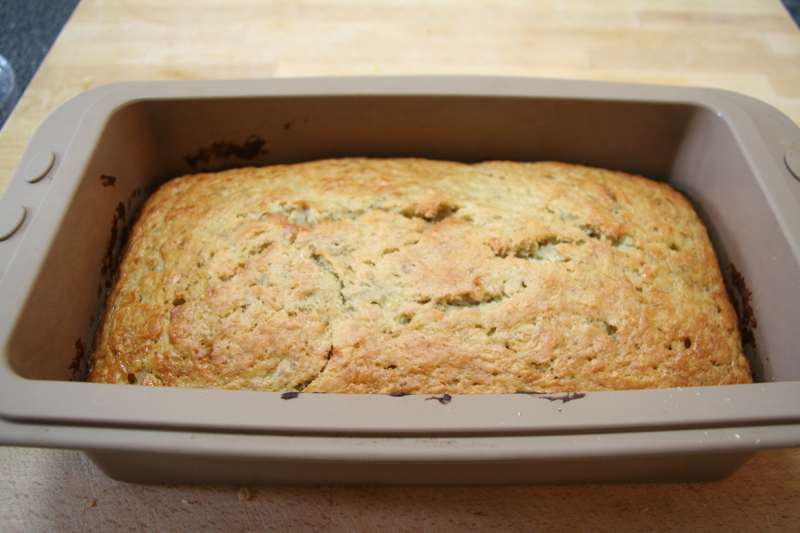 This weekend I made the family Banana Bread (banana loaf), which is already gone – yes, in 36 hours (with 2 adults and one 5-year-old devouring it). It was perfect with a latte (or hot chocolate) on these colder days. This recipe easily doubles and you can make two loaves and store one in the freezer in a Ziploc bag. Sift flour, baking soda and salt into a bowl. Mix in sugar. In another bowl, beat the eggs. Add milk, butter and banana into egg mixture with a spoon. Quickly add the dry ingredients stirring until just combined. Place mixture in a loaf tin (greased and lined if not using silicone). Bake at 350 degrees F (180 degrees C) for 50-55 minutes (until top is golden brown). Leave in tin for 10 minutes before turning out on a cooling rack. NOTE: I use very ripe banana’s that I basically have to turn out of the skin for the really banana’ery taste. NOTE: Once cool store in a Ziploc bag or air-tight container to retain freshness. I usually wait a few hours so you first get the bread with a slight crunch on top. This entry was posted in Uncategorized and tagged afternoon tea, baking, banana bread, banana loaf, bread, breakfast, chocolate ganache, Cooking, dessert, edmonds cookbook, edmonds cookery book, loaf, New Zealand Banana loaf, recipe, recipes, snack on November 25, 2012 by mlwilkie.